5 wise body goals that’ll give you clear progress! Are you feeling inspired? Are you raring to go? Have you decided enough is enough! It’s time to change your body for the better? What are your body goals? Do you have an idea of where you'd like to be body wise? After the introduction below you'll find 5 key ways to make serious progress towards the body you want. Your body... one of the most frustrating challenges!!! It's gotta be one of most frustrating areas in the world of goal setting! You're can often find yourself in a constant cycle of progressing, sliding, progressing, sliding. The temptations of Christmas, birthdays, Easter, parties, the weekend... It might feel like every week there is something that gets in the way! Sometimes feels like you’re constantly fighting an uphill battle! On top of that you have everyone telling you what isn’t possible? You can’t do this… You can’t do that… you don't have the right body shape... Thanks a lot for the pep-talk! You probably sense in your heart that this kind of thinking isn’t going to get you anywhere... Better to think about what is possible! No matter how far away it seems, you know your body goals... You know you can get there somehow... Someday... What more do you need?! Anyway, isn’t setting huge goals how you make huge progress? You know that. Whether you look like an Instagram model with a million followers next year is kind of missing the point. The point is… you making actual real movement in that direction! You feeling wonderful about the improvement you make! 1. Dream big. Aim high. "To be fighting fit and brimming with health, weight between ___ and ___, with body fat % between ___ than ___, by 2025." Set your actual date you want this to happen. 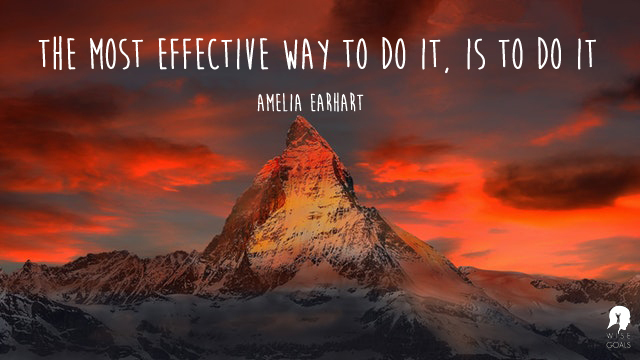 Be brave and take this first step! Put it in your own words. 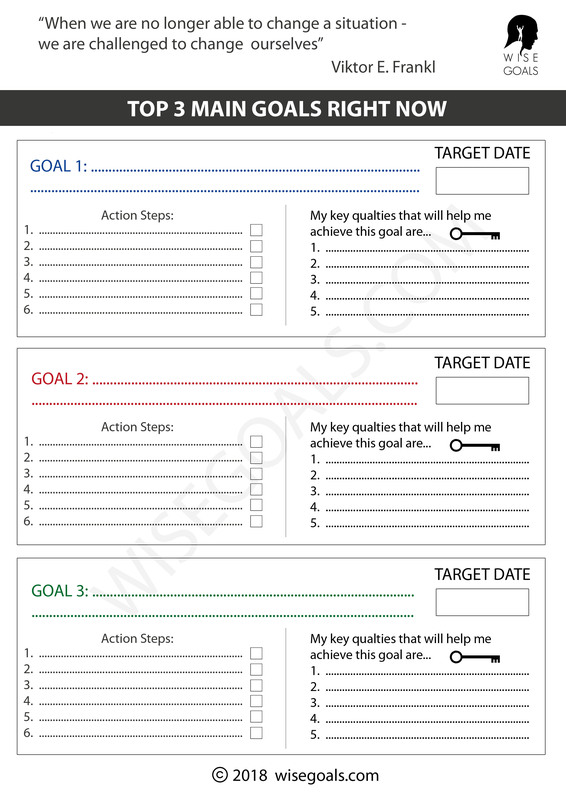 You can use one of these free goal setting worksheets to assist you. Now you can decide on your first steps towards your goal. You know that the only way to get somewhere long term is to make changes in your short term habits. You might decide to make one or two changes this month. Or maybe a few changes in the next 6 months. Whatever feels right for you... plan it! The method you choose is important but less important than your discipline... you sticking with it. If you are brave enough to act on steps 1-3 you will find determination and grit. Choose some action steps that feel like a good fit for you. If you keep trying you will find a good fit. In fact you'll find many good fits. Your action steps will naturally change many times as you make progress. Hopefully your determination will not. The best way… the healthiest way… is to progress from some kind of greatness to further greatness. To come from a high view of yourself as a person (as everyone should) will increase your chances of sustained success. 1. Check out some more details about how to set specific fitness goals here. 2. If you are thinking about health goal setting in general. 3. One of the best body goals to set is body fat percentage. You can find out your ideal body fat percentage and find out more about it this kind of goal here. Click on the links below to see stories sure to inspire and encourage about getting a great body. They were all written by other visitors to this page. Hey! Wanna see some amazing mind power techniques? I swear, they're really cool... You'll never get bored of these. They're just fascinating! Ready...? 6 Useful Goal Setting Templates and One Step Closer to Achievement!